Abstract: Photograph by W.D. 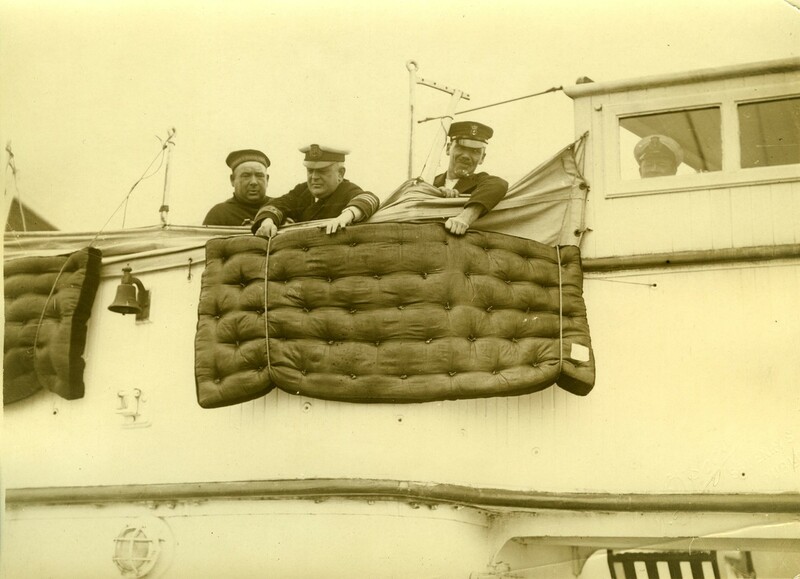 Hogan of three sailors (one a ship's officer) hanging mattresses over the railing outside the wheelhouse, possibly for the purposes of fortification. Sailors hanging mattresses over the railing outside the wheelhouse is licensed under a Creative Commons Attribution-NonCommercial-ShareAlike 4.0 International License.